The TV show “Seinfeld” was perfectly adept at picking out the most common social annoyances and bringing them to light. Whether it was refusing a piece of pie, withholding exclamation points, or speaking too closely or quietly, “Seinfeld” had a hilarious way to spotlight and nitpick these behaviors. In one such episode, viewers are introduced to Jerry’s “two face” girlfriend, who looks completely different depending on the lighting. If this episode proves anything, it’s that lighting is everything. For women, the type of lighting they use while applying makeup can determine how dramatic or natural it looks. For men, it can affect how close they’re able to shave. High-quality lighting can be the difference between going into the office with uneven makeup or stubble and showing up looking put together and professional. 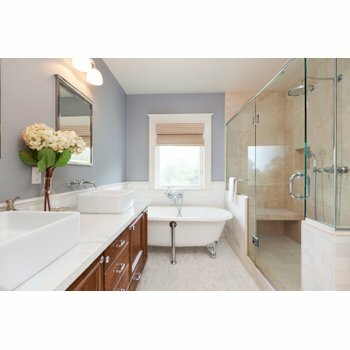 WarmlyYours Radiant Heating recognized the significant role that lighting plays in every person’s morning routine and launched its Marquee Series of LED mirrors. The mirrors are available in four different models and various sizes. Each features a perfect score (100 out of 100) on the Color Rendering Index (CRI). What exactly does that mean? The CRI measures how accurately a light source makes the color of an object appear to the human eye. So a perfect score means that the lighting projects the precise color of the object. In addition, the lights embedded in the mirrors have a color temperature of 5,000 Kelvin, which is the same as daylight. When the color temperature is lower, the light looks redder. When it’s higher, the light looks bluer. If you’ve ever replaced the light bulbs in your home, you probably have a good idea of this color variance. The perfect balance is daylight, which is essentially white light. 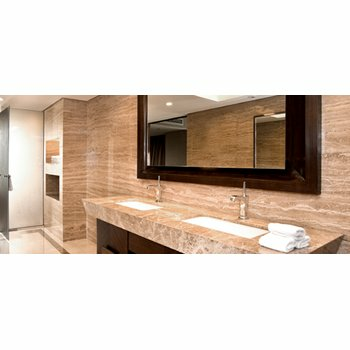 With a perfect color rendering and color temperature, WarmlyYours’s LED lights are providing the truest, most natural light available, ensuring that customers never experience a “two face” moment when they leave their bathrooms. So, now that you know exactly what kind of lighting you can expect from WarmlyYours's LED mirrors, how do you go about choosing the best option for your bathroom? First, you'll need to decide how wide the mirror should be. In general, the mirror you choose should be 2-4 inches narrower than the countertop or sink area, and the bottom of the mirror should fall at least 2 inches above the countertop. For double vanities with two mirrors, each mirror should be centered above the basin. In terms of the shape of the mirror, oval and rectangular shapes are the safest, most traditional choices. A square or circular shape will offer a more modern or contemporary look. For LED mirrors, the way you want to use the mirror also plays a role in the style you choose. 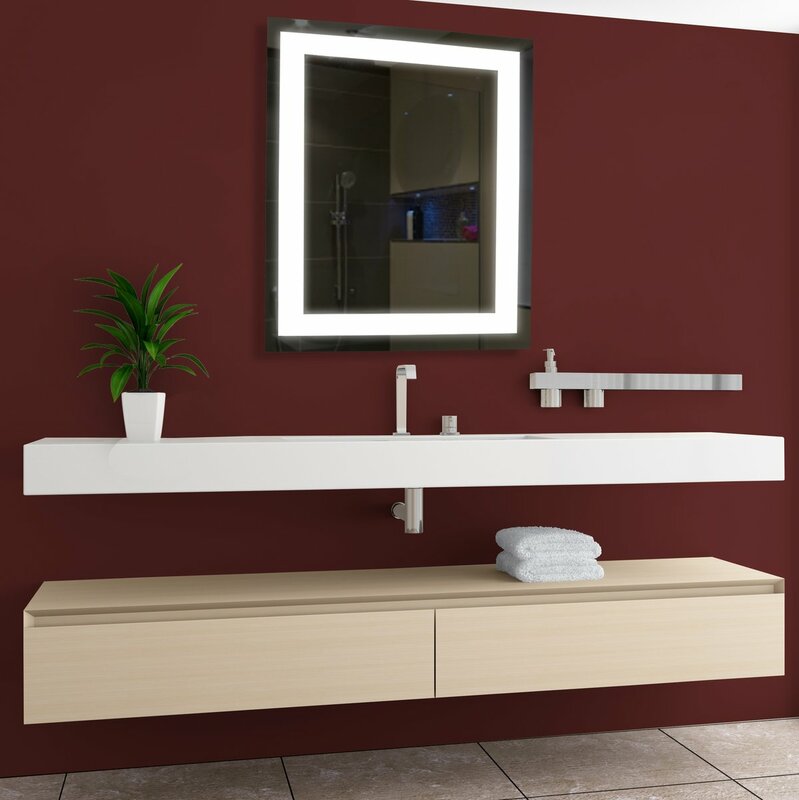 WarmlyYours offers three rectangular LED mirrors and one circular LED mirror. The Audrey and Marilyn models offer inner frames of light that offer more "directed" lighting. This is useful for applications where you would need more lighting, like applying makeup or shaving. The Grace model features light at each edge of the mirror, which provides a large, uninterrupted reflective surface and will deliver the most light to the general area. Finally, the Ingrid model features two vertical bars of light, which deliver gentler "directed" lighting and more surface area for the mirror. Marquee Series LED mirrors feature 50,000 hours of lighting, invisible rubber trim for waterproofing, and an easy mounting system that enables the user to hardwire the fixture so that no cords are visible. The mirrors are also available with some customizable size and lighting options. For more information about custom LED Mirrors, call WarmlyYours at 1-800-875-5285.